If we want an accurate picture of God we don't need to look any further than Jesus Christ. Through Jesus we meet God as God really is. Jesus said "If you've seen me, you've seen the Father." He is the perfect revelation of the Father. the full explanation of who God truly is!" In Jesus' own words and actions, we hear and see what really matters most to every human being - That the Father loves us unconditionally. Jesus came out of the immeasurable love unbending commitment of the Father to all of us. To know Jesus is to know God which means what we believe about Jesus is our theology. The Genesis of our understanding has to start with Jesus. Our study of the scriptures has to start with Jesus. He is the Word - The Logos and the Rhema. The Word interprets scripture not the other way around. Jesus has to be the lens we interpret scripture thru. When we read about God we have to see him through Jesus - If our picture of God we read about does not look like Jesus we need to reinterpret how we see Him. Don't be afraid of questions. 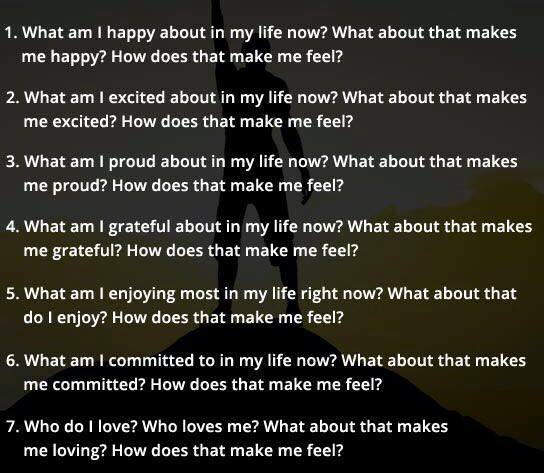 Keep asking and seeking. It's ok if you don't understand everything. Read as an act of faith and hope. With out hope and faith, asking questions is just cynical and irritating. Stay focused on Jesus and His teachings when you read scripture. Here's ​my advice when studying scripture is to really dig into the gospels and get a grasp on Jesus and His teachings then tackle Acts and tackle some of the Torah (the first 5 books of the OT). With a clear picture of Jesus you can really see the unconditional love and wisdom of God the Father, Son and Spirit towards us. Walking through scripture with clear eyes on Jesus really fills your heart. “Everyone who realizes their association in him, convinced that he is their original life and that his name defines them, God gives them the assurance that they are indeed his offspring, begotten of him; he sanctions the legitimacy of their sonship. These are the ones who discover their genesis in God beyond their natural conception! This is not about blood lineage or whether we were a wanted or unwanted child: this is about our God begotteness. We are his dream come true and not the invention of our parents. You are indeed the greatest idea God ever had! “ He is the source of our completeness. Everyone may now realize his or her own completeness as evidenced in Him. This was grace were no grace was due. The law was given through Moses; Grace and Truth have their genesis in Jesus Christ. Against the stark backdrop of the law, with Moses representing the condemned state of mankind, Jesus Christ unveils grace and truth! - the root of sin is too believe a lie about yourself. Sin was your master while the law was your measure; now grace rules. So Jesus didn't say to the lady go and sin less - He said go and sin no more. Jesus knew something about the life of our design that we had lost sight of. What He reveals He redeems! Sin consciousness is what empowers religion - It emboldens it. It’s Darkness! 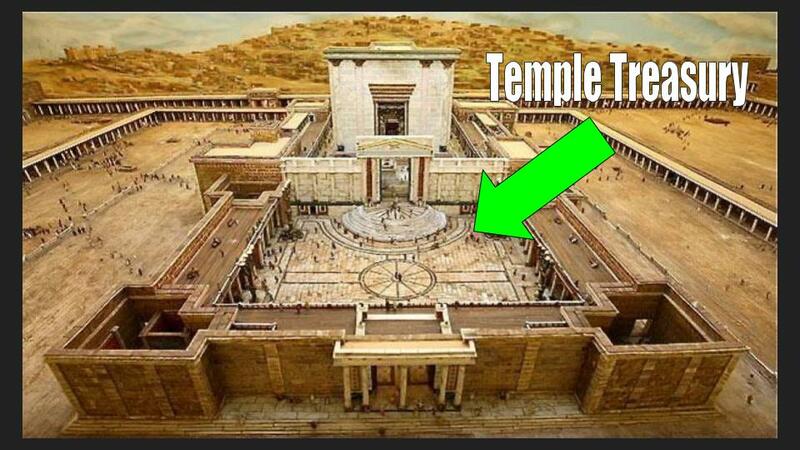 What was the Temple Treasury? Most of the activities recorded in the New Testament took place in the Treasury, also known as the Court of the Women. When, for example, we read that Jesus taught in the Temple, He taught here. The Treasury was a court that was located to the east of the Temple itself, just below the Nicanor Gate. This court is also called the Court of the Women, as that is as far as women were allowed to enter the Temple courts. It was in this court that the Presentation of Jesus and the meeting with Simeon and Anna the Prophetess (Luke 2.25–38) took place. During the Feast of Tabernacles, a water-libation ceremony took place every evening, that was watched by many people standing in this Court of the Women. When the water that was drawn from the Siloam Pool in a golden vessel was poured out on the Altar, Jesus said: “If any man thirst, let him come unto me and drink”. Golden lamp stands on high towers in the court were lit, casting light over the whole city. Again, Jesus was here when he said “I am the light of the world” in John 8. 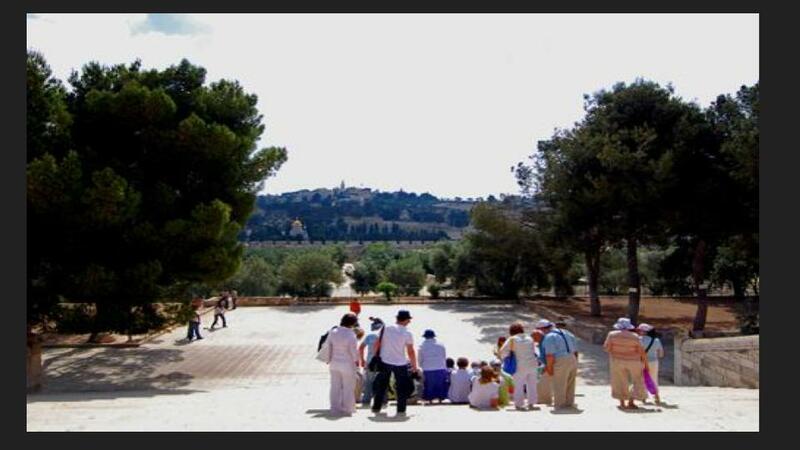 Continuing the tradition of Jesus’ teaching in the Treasury, the disciples taught here too on a daily basis. Jesus invites us all in the place of inclusiveness not exclusiveness. This is how grace rescued us: sin left us dead towards God, like spiritual corpses; then comes the resurrection of Christ, in that moment, He simultaneously co-quickened us. While sin proved how dead we then were, grace reveals how alive we now are. (As much as we were co-included in His death,) we are co-included in His resurrection. We are also elevated in His ascension to be equally welcome in the throne room of the heavenly realm where we are now seated together with Him in absolute authority. We are in Christ Jesus. We are seated with Him! He knows you better than you know you. He knew you before you were born. You might not know Him, but He has always known you. You might not be aware of Him, but He has always had you on His mind. You might think ‘why’ … why would anyone have such an obsession with me. Well, the creator of this universe sees a value and a beauty in you beyond anything else. You have the most awesome origin. In the beginning, before creation, before time as we experience it, before the existence of evil, there was a dynamic exchange of love, a relationship without boundaries. God- The Father, Son and the Spirit- in the very midst of their fiery love, at the core of their passion, the idea of you came into being! Let’s imagine this beginning, let’s allow the spirit of God to draw us to this place in which all things had their origin. Although no science can explain it, although the greatest minds have tried and failed to define it, God is confident that you are able to comprehend this; to appreciate the motivation that gave you birth; to remember where you began. In this place there is no space, no limit, no emptiness – there is only God in all His fullness. It is out of His fulness, out of the overflow of love that you are conceived. God did not imagine a pet that would simply entertain Him! You are His God-dream. You are a being who has the capacity to intelligently appreciate, to receive, to produce and to exchange the same quality of love that flows within God. His plan is not vague or speculative philosophy, but clear and specific. And so before the foundation of this world, He saw you in Christ. At this point, He made up His mind about you! No matter what detours, no matter what contradictions would come, He determined that you would be His treasure – blameless and innocent before Him in love. "In the very beginning the Living Expression was already there. the Light that darkness could not diminish!" In His resurrection, you were resurrected to newness of life – that original life that God imagined for you from the beginning. In His ascension, you were raised to the most glorious place of honor – a place where God delights in you! What do I do with this? How does I even respond to all this revelation? The good news is that the hard work has already been done for you! Jesus defeated everything that stood between you! Gratitude … love awakened, is all that’s left to do. Gratitude unleashes FAITH! Here’s a simple suggestion to give expression to this faith. Turn your focus inward. Become aware of the One who made you and united Himself with you … within you. Other cultures had winter festivals around this time, The Jews had the festival of Lights - The church took the season over with the celebration of the birth of Christ. No one knows the exact date when Jesus was born, but the church used the last part of the year, the darkest part of the year - to celebrate that the LIGHT has come. It’s around 450 AD that the church introduces Advent to mark the beginning of the church liturgical year. It’s the celebration of Christ’s coming to the world, His coming to the hearts of men. The 8th century English missionary, St. Boniface, Apostle to Germany, is supposed to have held up the evergreen as a symbol of the everlasting Christ. By the end of the sixteenth century, Christmas trees were common in Germany. Some say Luther cut the first, took it home, and decked it with candles to represent the stars. When the German court came to England, the Christmas tree came with them. Now before you start thinking - Hey, Jesus never instituted Christmas, why should we celebrate it? Think about this: Hanukkah (also known as the festival of lights) was not instituted by God. It commemorates the victories of Judas Maccabeus in 167 BC and the re-institution of temple worship. Jesus showed up the at the temple during this holiday (John 10:22 called the feast of dedication). He announces that He and the Father are one. God used a holiday that He didn't create that celebrated a deliverer to announce that The Deliverer is HERE. Man created this Holiday, But God brought GLORY. They were celebrating the festival of lights and Jesus - The Light of the World shows up. Christmas / Advent is a man made holiday that Christ is revealing himself through - If we Celebrate it!!! But those who embraced him and took hold of his name were given authority to become the children of God! He was not born by the joining of human parents or from natural means, or by a man’s desire, but he was born of God. And so the Living Expression became a man and lived among us! And we gazed upon the splendor of his glory, the glory of the One and Only who came from the Father overflowing with tender mercy and truth! He dwelled among us - Immanuel (God With Us) The Word became flesh and made his home among us. Look at the definition of the Greek word “among”. So, the Word (Logos/Logic of God) was made flesh and dwelt among us so that we could experientially know that He dwells WITHIN us! He has made us his address! "The Beloved Son, stepped out of eternity into history to be THE point of meeting, THE point of union, THE connection between the Trinity, on the one side, and humanity on the other. The Son became human to be THE place where the life of the Trinity intersects with and flows into human existence, and human existence is taken up into the life of the Trinity, now and forever." The Word, the expression of God, the exact representation of God became flesh! This was no half-hearted attempt by which God simply disguised Himself in a human body. This was a permanent commitment by which God forever joined Himself to humanity – His eternal destiny bound up in the destiny of man. He became man in the fullest sense possible and would remain a man forever. The authentic Creator, the true light that enlightens every man came into this world. His mission was nothing less than shattering our illusions, exposing the unreal, unoriginal and fake identity that we embraced outside of Him. He came with the clear message to darkness that it’s time was up. Darkness has had all the opportunity it needed and failed to fulfill man, failed to provide a viable alternative. The incarnation reveals that our true selves, our true humanity can only be found in union with God. Jesus brings the final and thorough judgement that the law failed to bring: judgement on the ignorance and lies that man so desperately embraced. The emptiness and futility of separation is exposed by Christ. Simultaneously He introduces us to our true substance, to our existence in Him. The Creator became part of creation to redeem it from the grasp of corruption. In the incarnation He draws His creation back into the significance and value for which He created it. He reveals our true significance, our eternal origin and destiny in Him. There’s a reason why Jesus continually referred to himself as THE son of man. Jesus came to unveil the truth of what had always been. In the beginning God breathed out of Himself into mankind the breath of life and we became living souls. The Bible says God chose us In Christ before the foundations of the world. He came to unveil the truth of our origin, our genesis in him, our identity, our authentic original blueprint, to show us who we really were. Born from above. In eternal oneness with the Father. Sharing the same nature as the Father. Resembling his character and essence. Inheriting all that he is and all that he’s already given Us in him before time and space began. He said: I (mankind) and the Father are one. We’ve always been in Christ. This is the message of ADVENT - He has come to reveal this to mankind - WE ARE IN HIM!!! Awaken to the truth that’s always been. Awaken to the truth of your origin. Awaken to the truth of your authentic blueprint filled with the glory of heaven from before time even began. You’ve always been one with him. You will always be one with him. And you carry his very dna. Nothing can change what is already objectively true from heaven’s perspective. and tangibly experience you’re oneness with God. You possess eternal Zoe life right now. The good news is that the hard work has already been done for you! Jesus defeated everything that stood between you! Gratitude … love awakened, is all that’s left to do. Gratitude unleashes FAITH! This is the Celebration of Christmas. This revelation will jumpstart your heart! You’ll put as many lights as you can on your house, tree, car - You will want all to see this LIGHT. You will realize that there is no war on XMAS because you can’t defeat this! You can’t stop it. Advent means 'Coming' in Latin. It is the celebration of Jesus coming to the world. 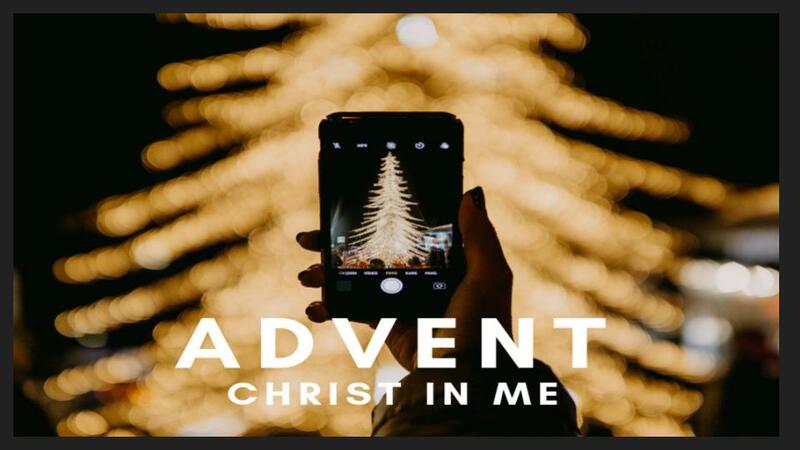 We use the four Sundays and weeks of Advent to remember the real meaning of Christmas: that Jesus came to show us just how much the Father loves us. And here's the thing, he is still showing up everyday to let us know that. Advent is just a time to celebrate the goodness of Father through the greatest gift- JESUS! At Hope Community Church, we believe that when you see Jesus without the religious baggage you’ll find someone undeniably life-changing and worth following. We hope you see and experience Jesus through these thoughts, videos and messages.